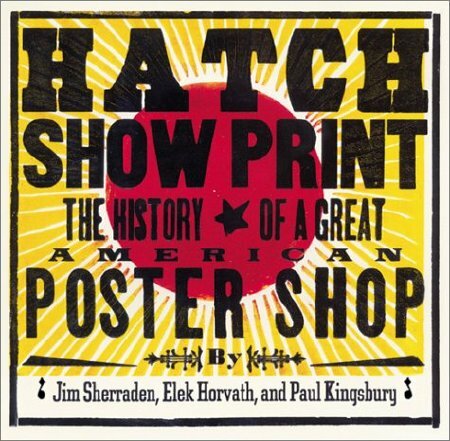 Hatch Show Print is a Nashville printing company, that began life in 1879 printing posters for traveling acts. Every poster is 100% unique, with colors running slightly from print to print. Starting in the 1990s they began reusing the old wood cuts in the collection and experimenting with the type layouts to produce avant-garde posters that look modern with a nostalgic feel.